Note: The letters "GSA" stand for "Gardiner System Applications"
aka "Golf Simulators of America"
are subject to Copy Rights 2008 thru 2019 by GSA Advanced Golf Simulators LLC and Martin Paul Gardiner. All prices, availability, shipping dates and specifications subject to change. Although GSA Advanced Golf Simulators LLC and Martin Paul Gardiner has attempted to provide accurate information on this Web site, information on this Web site may contain technical inaccuracies or typographical errors. The contents of any documents on this Web site are believed to be current and accurate as of their publication dates. GSA Advanced Golf Simulators LLC, Martin Paul Gardiner assumes no responsibility for the accuracy of the information including product pricing and availability. GSA Advanced Golf Simulators LLC and Martin Paul Gardiner may change the programs or products including pricing and availability mentioned at any time without notice. For the most current and complete documents, please contact GSA Advanced Golf Simulators directly. Mention of non- GSA Advanced Golf Simulators, Martin Paul Gardiner products or services is for information purposes only and constitutes neither an endorsement nor a recommendation. GSA Advanced Golf Simulators LLC, Martin Paul Gardiner SHALL NOT BE LIABLE FOR ANY INDIRECT, SPECIAL, CONSEQUENTIAL, OR INCIDENTAL DAMAGES INCLUDING, WITHOUT LIMITATION, LOST PROFITS OR REVENUES, COSTS OF REPLACEMENT GOODS, LOSS OR DAMAGE TO DATA ARISING OUT OF THE USE OR INABILITY TO USE THIS WEB SITE OR ANY GSA Advanced Golf Simulators LLC - Martin Paul Gardiner PRODUCT, OR DAMAGES RESULTING FROM USE OR RELIANCE ON THE INFORMATION PRESENT, EVEN IF GSA Advanced Golf Simulators LLC and HAS BEEN ADVISED OF THE POSSIBILITY OF SUCH DAMAGES. GSA Advanced Golf Simulators LLC cannot be held liable for any inaccuracies, faults or software bugs contained in the software such as ProX, GSA Control Panel, GSA Golf or E6 game software. and GSA Advanced Golf Simulators LLC cannot be held liable for any inaccuracies and faults in these systems. In the unlikely event that faults should occur, any faults reported on any of our systems will be dealt with and rectified as soon as possible..
either not supplied by GSA Advanced Golf Simulators LLC or authorized by GSA Golf. All products come with a full 1 year warranty on the internal electronics for private - non commercial - customers. Grass Fiber panels and Impact Screens are excluded from any warranty unless found defect on delivery. There are no warranties for commercial customers unless a commercial license is purchased. They are only valid for the original purchaser. Warranties are thus void for any purchases of used GSA Golf products. A 12 month extended warranty on the internal electronics for private - non commercial - customers is available for $300 / €200 per product. All GSA Advanced Golf Simulators LLC products and golf simulators are custom made and/or purchased to order and thus a no return policy applies. All purchases are non-returnable and non-refundable! and that the exchange golf simulator has a value no more than the value of the return products. Note: this 30 day exchange does not include enclosures! As above, all GSA Advanced Golf Simulators LLC products are custom made and/or purchased to order and so we may have considerable costs with any order. Thusly, order cancellations that require refunds (i.e. customer is not asking for an alternative GSA Golf product) are subject to a 20% fee plus 10% credit card fees for both credit and refunds. Note that this offer is only valid if the ordered products placed by the customer have not already been made up and/or shipped and is only valid for 7 days. All GSA Advanced Golf Simulators LLC products are normally shipped within 10 to 15 days of payment of the order. However, component supplier delays or other issues beyond our control may cause this period to be extended to 60 days. GSA Advanced Golf Simulators LLC make best effort to ship within the 10 to 15 day period but cannot be held responsible if this normal shipping period cannot be met. Once the product order has been made ready to ship, the product is shipped FedEx ground or 2nd day air. Payments can be made via the online Credit card system where applicable or bank wire transfer. 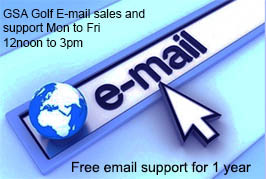 GSA Advanced Golf Simulators LLC are obliged to give any and all technical support for all its products via e-mail. 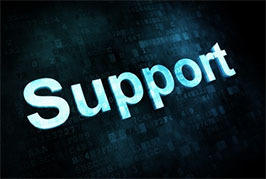 While GSA Advanced Golf Simulators LLC can - and do - offer free remote access support, GSA Advanced Golf Simulators LLC are not in anyway obliged to do so. 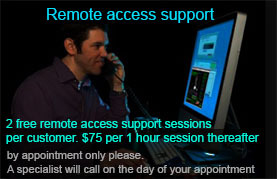 GSA Advanced Golf Simulators LLC can at anytime - and at its own descretion - refuse to offer such remote access support. a GSA Golf commercial license is required.